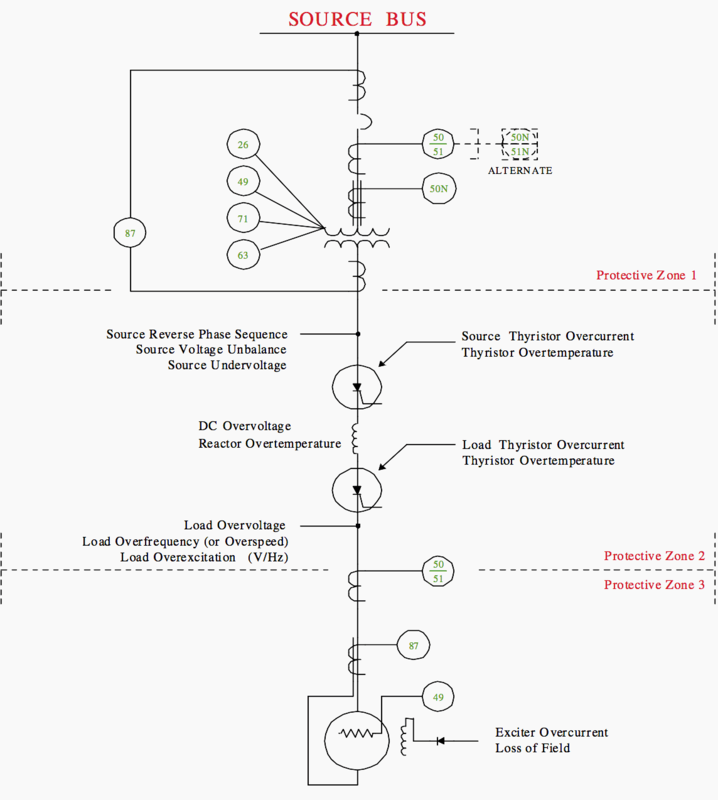 The uniqueness of the electrical environment (asynchronous connection to power system, variable frequency operation, and harmonics) on the output of adjustable speed drives (ASDs) requires special consideration to be given to the motor protection. The Working Group has investigated and addressed these concerns. This paper reports the findings of this activity and makes recommendations to the motor protection engineer. 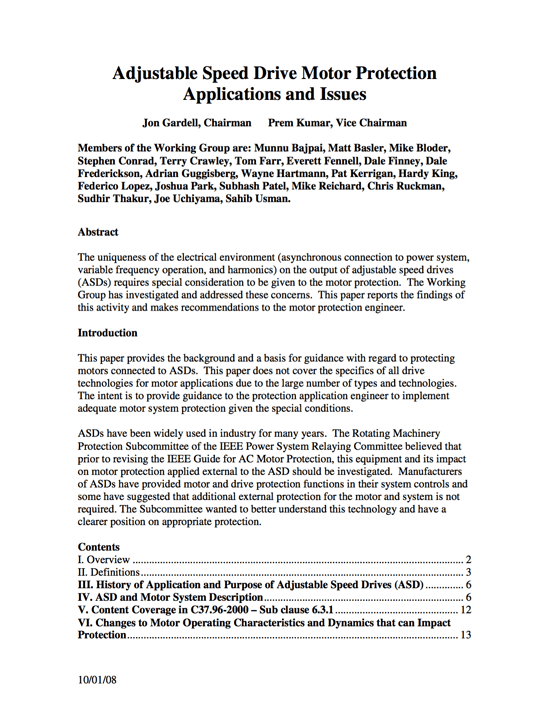 This paper provides the background and a basis for guidance with regard to protecting motors connected to ASDs. This paper does not cover the specifics of all drive technologies for motor applications due to the large number of types and technologies. The intent is to provide guidance to the protection application engineer to implement adequate motor system protection given the special conditions. ASDs have been widely used in industry for many years. The Rotating Machinery Protection Subcommittee of the IEEE Power System Relaying Committee believed that prior to revising the IEEE Guide for AC Motor Protection, this equipment and its impact on motor protection applied external to the ASD should be investigated. 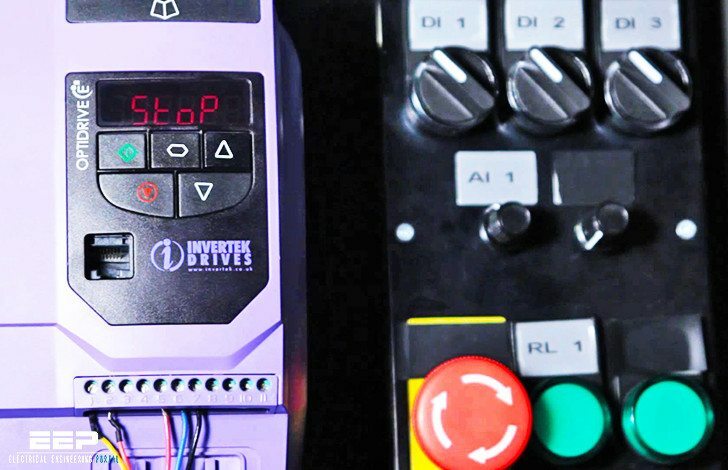 Manufacturers of ASDs have provided motor and drive protection functions in their system controls and some have suggested that additional external protection for the motor and system is not required. The Subcommittee wanted to better understand this technology and have a clearer position on appropriate protection.